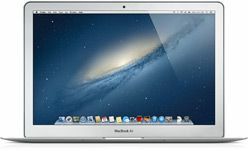 2012 Apple MacBook Air 13"
Give us a few details about your computer to help us provide you with the highest quote. Please note: We are not able to conduct business or purchase computers outside of the United State of America. 2017 MacBook Pro Retina 13"
2017 MacBook Pro Retina 15"
2016 Apple MacBook Air 13"
2016 MacBook Pro Retina 15"
2016 MacBook Pro Retina 13"
2012 Apple MacBook Pro Retina 15"
2013 Apple MacBook Pro Retina 15"
2016 Apple MacBook Pro 13"
All Rights Reserved. Copyright ©2019 Beagle Brain, LLC. All registered names and trademarks are property of their owner.